Add sour cream, mayo, relish, and mustard. Mix well. Spoon into centers of whites, sprinkle with pepper. Spoon egg yolk mixture into small resealable plastic bag. Cut small corner from bottom of bag; use to pipe filling into egg white halves. I love banana pudding. Its sweet and delicious and so simple to make. 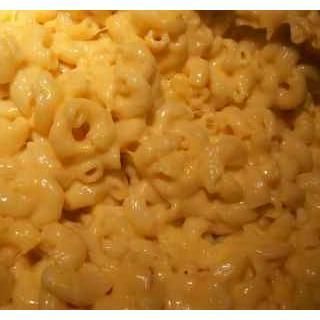 I am always in search of great mac n cheese. I found this recipe and tried it. Absolutely incredible. A must add to your holiday dinner or anytime! Butter a 3 quart baking dish and preheat the oven to 350 degrees. Don’t use a smaller one… this makes a LOT of mac and cheese. Pour half of the pasta into the dish. Sprinkle with salt and pepper and layer the sliced butter all over the top. Homemade rolls are the best. I know, I know, they take more time but in my opinion, the payoff is well worth it. 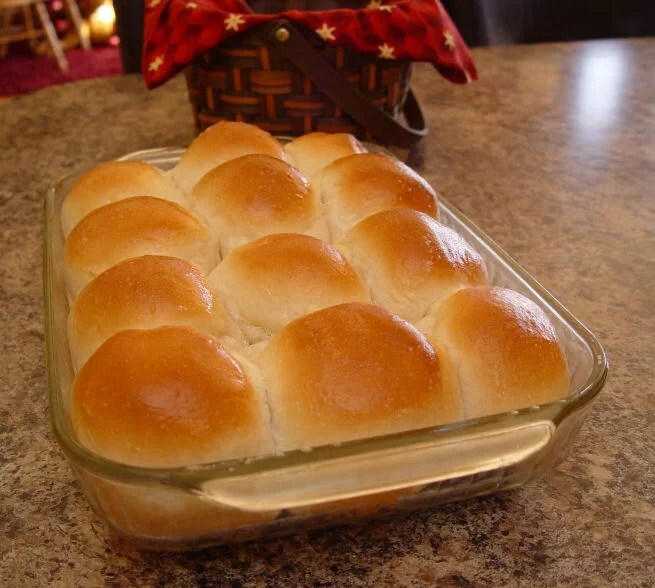 So if you would like to try your hand at homemade rolls this Thanksgiving, here is a simple recipe to help you in your quest for the perfct dinner roll. Pour your milk into a microwave safe container. These Pyrex glass measuring cups work fabulously. Add your butter to the milk and put it in the microwave for 1 1/2 minutes. Preheat your oven to 170 degrees. While the milk is getting nice and toasty, turn on the tap to get your hot water. Temperature is important to making these rolls rise quickly. If you add cold water, your rolls will are going to rise at a snails pace, and you’ll feel like cursing. Add hot water. You want it to be almost too hot to put your hand in. Put your milk/butter and hot water in the bottom of your Kitchen Aid Mixer. Add the sugar and salt. Then add 2 C of the flour…let it mix for 1 minute. Add the yeast. Turn the mixer on and add the rest of the flour 1 C at a time. Cover with plastic wrap and let sit for 5 minutes. You need the plastic wrap to trap the heat. Take a bit of butter and coat the inside of a 9×13 pan. Spray your counter, or a cutting board with cooking spray. Lay your dough on top of it. Take a sharp knife, spray it with cooking spray and cut your dough into 12 pieces. Make them as equal as you can….perfection is not necessary. 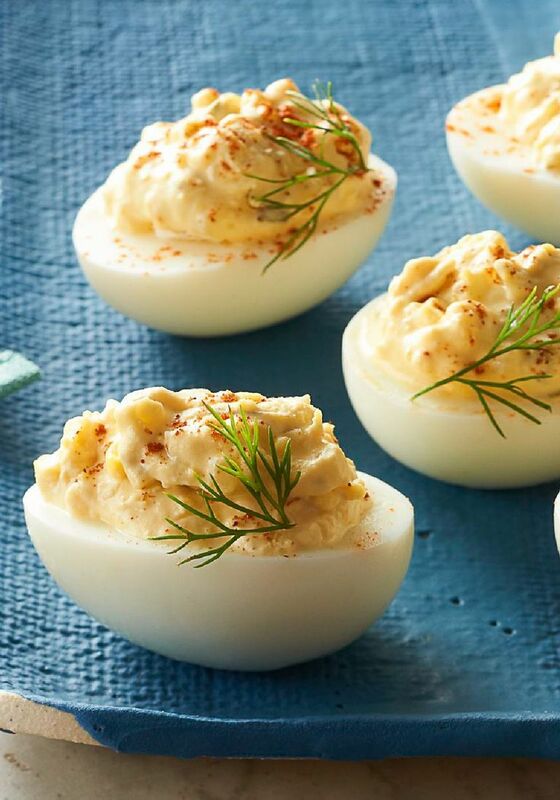 Gently round them into balls, and put them in your buttered 9×13 pan. Put the pan into your warm 170 degree oven. Let them rise for about 20 minutes or until they have risen an 1 inch above the rim of the pan. Leave your pan in the oven and turn the heat up to 350 degrees. Bake for 15 minutes. The 15 minutes includes the time it takes the oven to increase in temperature. If your oven takes a long old time….you will of course need to increase the time baking. Bake until golden brown. Cut potatoes in small chunks, cover with salted water, and boil just until tender (about 20 minutes or so). Drain well (important). Once drained, put the uncovered pan of potatoes on the burner over medium heat for just a couple of minutes; this will steam off any additional water so your potatoes will be fluffier – careful not to scorch them. Once all water has evaporated, remove from the heat and immediately add the butter and milk. Mash with a food masher, using an up and down motion, just enough to remove the lumps – do not stir them, as your potatoes will end up like glue. Salt and pepper to taste. In a large skillet, heat the butter over medium heat until melted – but not burned. Add the flour and whisk until it’s well incorporated – important to cook at least 1 minute so the flour taste is absorbed – whisking continually. Add the hot pan juices and whisk until thick. If the pan juices are not seasoned, add salt, pepper, and rosemary to taste. If you’d like it a little thicker, keep it on the burner a little longer so that it cooks down prior to serving it. Ok, so the biggest eating holiday is only 2 days away. By now, you should plans in place, all of your food bought, and are raring to go. Some of us will have Thanksgiving dinner at home, some of us will go to a family members’ house (or as in my case, several family members’ houses to make all the rounds), and still others may decide to go out to a restaurant with their families and friends, effectively avoiding all of the time consuming cooking and equally time consuming clean up. But wherever you go, just be sure to take a moment-or several-to remember that this holiday is not about the food that’s prepared and eaten. Its about being with your family and friends. And being thankful for what you have. I know I am thankful that I get to be with my family because there are plenty of others that don’t get to be. Our troops spread out across the globe, the homeless, the orphaned. Those people don’t get to see their families or even have families. Realize how lucky we are to have what we have and to be where we are because it could be so much worse. And while your saying grace before diving into a delicious meal, add those less fortuante to your prayers. Ask for them to be looked after and blessed. And although the holidays may be stressful, enjoy your family and the time that you get with them no matter where you are. Happy Thanksgiving All! 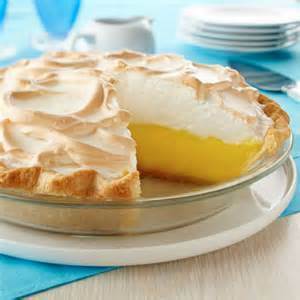 Lemon meringue is soooo tasty. Sweet but with a tart zing…delicious! Cook over medium-high heat, stirring frequently, until mixture comes to a boil. Stir in butter. Place egg yolks in a small bowl and gradually whisk in 1/2 cup of hot sugar mixture. Whisk egg yolk mixture back into remaining sugar mixture. Bring to a boil and continue to cook while stirring constantly until thick. In a large glass or metal bowl, whip egg whites until foamy. Add sugar gradually, and continue to whip until stiff peaks form. Spread meringue over pie, sealing the edges at the crust.